Staying in nature? Yes. By the sea? Yes. Under the stars? Yes. Comforts the same as at home? Yes. 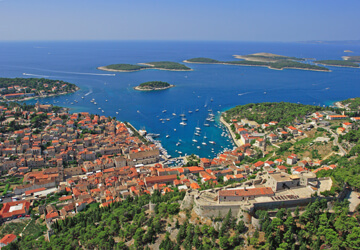 Choose a campsite on the island of Hvar for your holiday and have everything in one place. Telling their story, the campsites on the island of Hvar are delighting advocates of classical camping, but, more and more often also guests who have never stayed at a campsite up to now. The reasons for this are campsites top quality equipment, numerous facilities and new accommodation capacities which give the feeling of being at home – mobile homes. Enjoy the magic of camping and make friends with nature! We currently do not have any recommended campsites for selected destination. Please have a look at the campsites in the region Dalmatia - Split region.